Depending on how you configure OctoPi, you can do the slicing on OctoPi too. However you’ll need a Raspberry Pi 3 because it is CPU intensive. Alternatively you can use any slicer of your choice, then upload the gcode file to OctoPi. 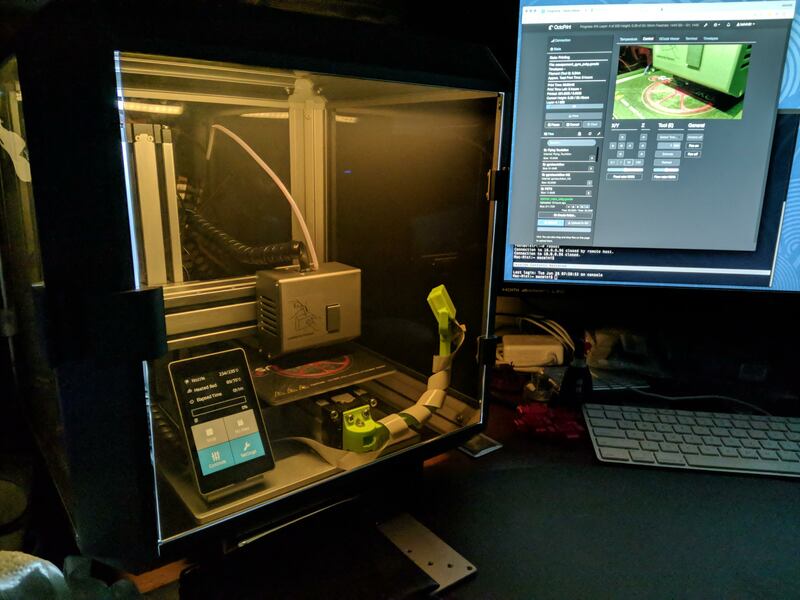 If you do use Cura, there’s a way to configure Cura to interface with the OctoPi server inside the app itself. 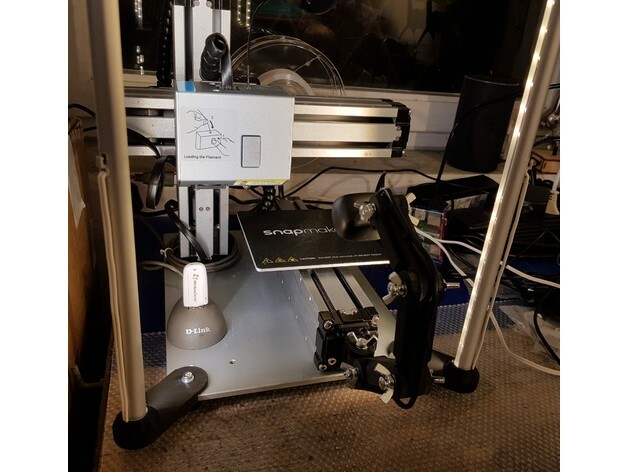 You will need to install the OctoPi Connection plugin for Cura. I have not tried integrating other slicers with OctoPi. 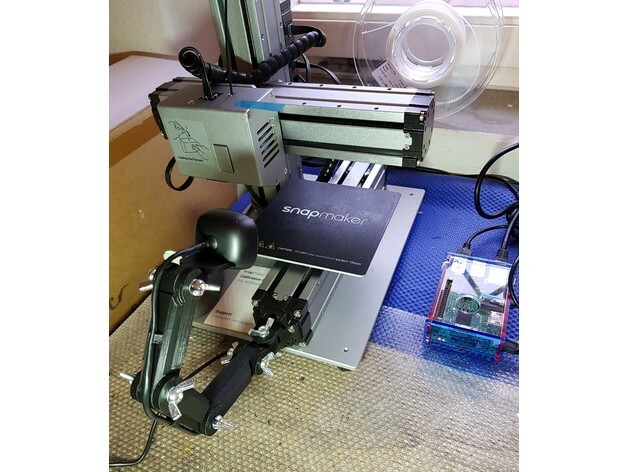 I normally upload the gcode files through the OctoPi web interface. I’m running it on a 3B, but I’ll probably do the same as you (upload G-code to the Octopi). Wow, that’s a slick piece of software. I’m almost done with the first print through the Octopi. I love the tab where you can watch the G-code progress. Now I just need to figure out how to get my Logitech HD USB webcam working with it. I have noticed an issue with the touch screen and the Octopi, as others have. It seems if I ever touch the touchscreen, the Octopi won’t connect to the printer. I have to power cycle the printer to get it to connect. Also, is the Octopi usable when doing CNC carving or laser engraving? I’m guessing not. Hi Harry, what is the blue extention on your extruder module? If enybody is interested, thats the camera mount and lightning I built for my snapmaker with OctoPi. Very nice! Where did you get those LED lights? 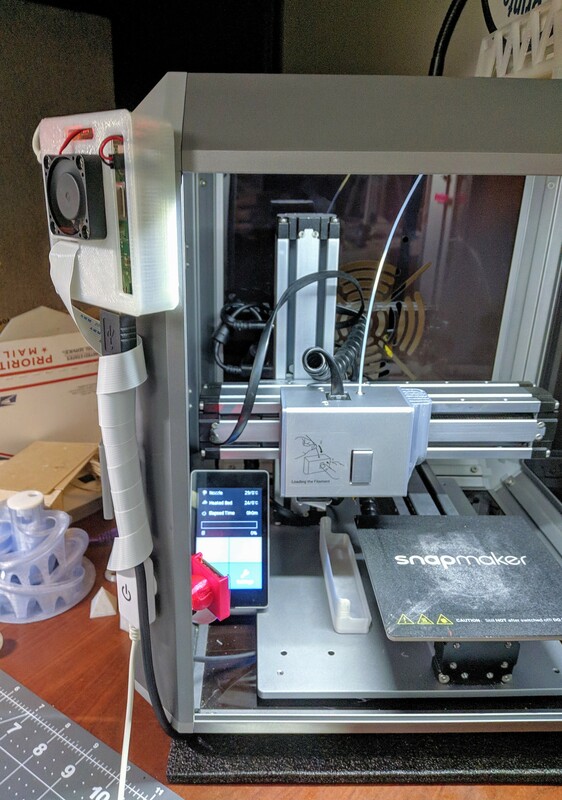 I have octoprint working with my SM as well, and I’m currently working on a solution for a camera mount, while still allowing me to use the enclosure. I’m probably half way there… I’ll post when I get something interesting to show. I currently use @kelvin8r design (mounted like the top picture) and really like it. My PI 3b sits under the bed, behind the LCD controller, and it’s powered by SnapMaker controller USB port. @rgriffogoes I had my Pi the same place you have yours, but have moved it to outside of the enclosure. The Pi operating temperature was getting too warm for my liking inside the enclosure. Wouldn’t it be cool if they built something akin to OctoPrint into their new controller??? They must have a more powerful processor in order to handle 11 connections. They mentioned that it will have a wireless connection. If they made it modular like OctoPrint is then users could build their own custom software modules. Even if they added just a few features like being able to cue up multiple print jobs, being able to get a real time status remotely via text or other messaging, and being able to cancel a job gone astray.